Our family friendly apartments - for 2-4-6 people - are located in the resort area of Gyenesdiás. 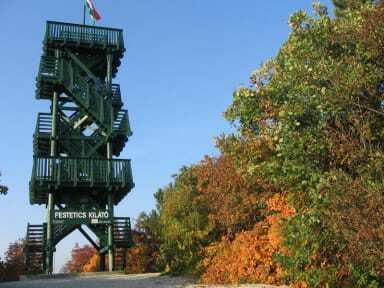 This resort village is situated 100kms from the western border of Hungary, at the foot of Keszthely Hills in the western Balaton Region, 15 kms from Fly-Balaton airport and offers excellent opportunities for those who are longing for rest, entertainment and recreation.near to the Lake Balaton. Our apartmenthouses are close to the beach, to the Spiderland adventurepark, to supermarkets (Lidl, Aldi, Interspar, Tecso, Stop Shop, Alpha Park), restaurants. The apartments include double and/or twinrooms, bathroom with shower and WC which open from the living-dining room. The kitchens are well equipped, have all the comfort like fridge, two-burner cooker, mcirowave oven, boiler, coffee machine, toaster and every kind of kitchen utensils. 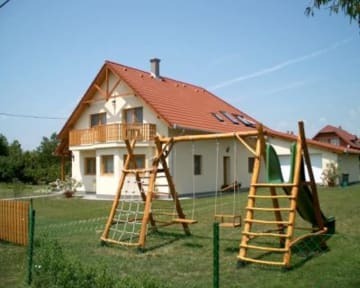 To the house belongs also a big garden with barbecue, garden furniture in roffed pavilion, table tennis table, swing-bench, deck-chairs, playground with slide, swing, sand box and trampoline for kids and different games are also available for our guests.